1. 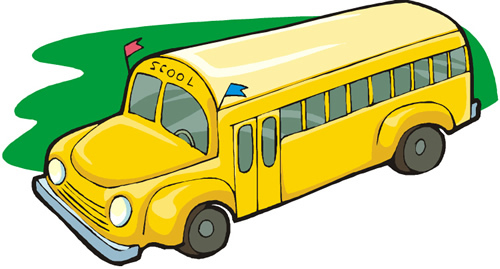 Students will not be allowed to ride a different bus or leave a bus at any place except his/her regular discharge point unless he/she has a written statement from his/her parent or guardian and presents it in the school office on the morning of the change. 2. The bus driver is in charge of the bus and its riders at all times. The driver will report any violations of the Code of Student Conduct and the Board Policy Manual to the principal/assistant principal or their designee. -----The student must obey the driver's instructions at all times. -----Moving about the bus while it is in motion is prohibited. -----Extending arms, head, or any body part out of the bus windows is forbidden. -----There will be no throwing of objects in or out of the bus. -----There will be no food, drinks, flowers, balloons, or glass objects allowed on the bus. -----Cell phones and electronic devices are allowed per the Cell Phone Policy. -----Emergency doors can only be used in case of emergency. -----Any action that would threaten the safety of others is prohibited. Bus evacuation drills are held periodically throughout the year.